Davyd Whaley with his painting Heaven and Hell, selected for this years Florence Biennale in Tuscany. The artist recently won the prestigious Public Arts Education award as Los Angeles Volunteer of the Year 2012 for his services to the community. It was in Rome that I first met Davyd Whaley and Norman Buckley, introduced by our mutual friend film director Catherine Cyran from their hometown of LA. Whaley was keen to see the Caravaggios and visit one of the Eternal City's rare new contemporary art museums, the MAXXI designed by Zaha Hadid. Effervescent and passionate about painting, the artist was full of good humour and always keen to get back to drawing. But the parabola of Davyd Whaley’s voyage to becoming a painter wasn't a simple upward curve. It begins in the American South and like many creative careers, it was not an easy start but one bound by frugality, opposition and confusion. “Childhood was a difficult, lonely time for me,” Whaley explains. “I grew up in the Appalachian mountains of eastern Tennessee. That area of the country was not a haven for the liberal arts." From necessity, Whaley’s early artistic education soon veered off into a completely different direction. With little family support, he needed a way to pay for his education and have a career that could provide an income and stability. He joined the Navy and discovered he excelled at electrical engineering. After a four-year stint in the service on submarines, Whaley went to college and earned his electrical engineering degree at North Carolina State University. 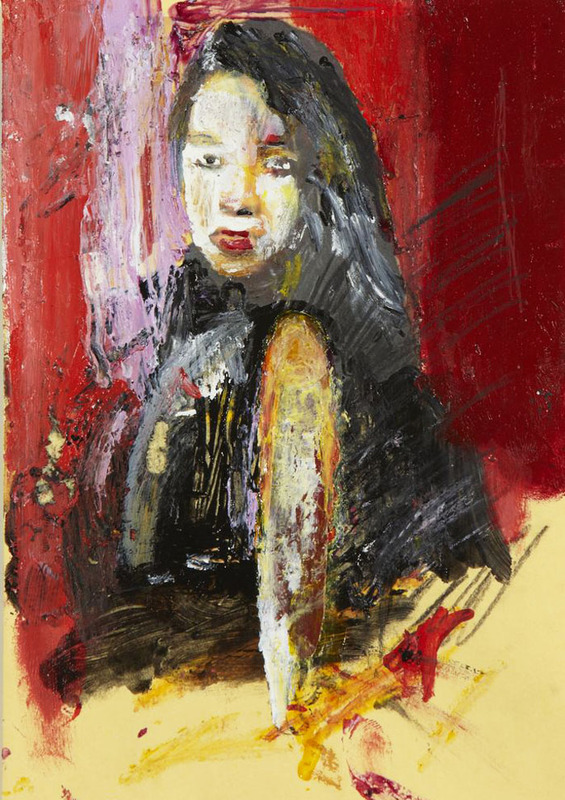 "My canvases like Narcisus (above) are very labour intensive.What makes them unique are the layers created by a tiny filbert brush.I mix the pigments in tiny bowls and write the formula on the back of an index card. The paintings take so much time: up to seven months to paint, two months to dry and three weeks to stretch." Today, Whaley says the training helped him as an artist, especially in drawing with perspective, line, scale and dimension. The four years he spent in the Navy also taught him precision and discipline. After his degree, a career as an engineer working in the corporate world followed with executive and managerial positions in large companies around the country before settling in Los Angeles. One of his top jobs included being recruited by Farmers Insurance to design telephone systems and oversee 2,200 employees. Out of the trauma of this experience grew his real career, the one he had begun as a child. He was back on his creative path, not only as a career but as a way of healing himself and beginning life anew. “I felt that I had an epiphany of some sort,” Whaley says. “Creating art was no longer something I did as an outlet for stress, but became something that consumed me. And my work became bolder and originated from a deeper place. I moved away from figurative painting and more into the world of the abstract.” Much of Whaley's creative work is inspired by exploring the workings of the subconscious in his dreams. He always keeps a journal by his bed to record them for his work. Reading Carl Jung also helped him understand the unconscious mind through the study of dreams, symbols and philosophy and informed his approach to painting. "I paint as a way of expressing my feelings. People often say things like: 'I see flowers blooming' and I like that because I feel like my life is blooming. My paintings are often about the joy and passion I feel and I hope that translates into a joyful experience for the viewer. But I also explore my dreams in my paintings, so I hope they evoke a meditative response too." “I was never interested in dreams before the last seizure," Whaley says. “Now I’ll wake up with a fragment of a dream, an image, or a vague awareness of something I had been dreaming about and I’ll quickly draw it or write it down." Whaley often works with large, unstretched canvases on the floor, piecing together glimpses into his subconscious. 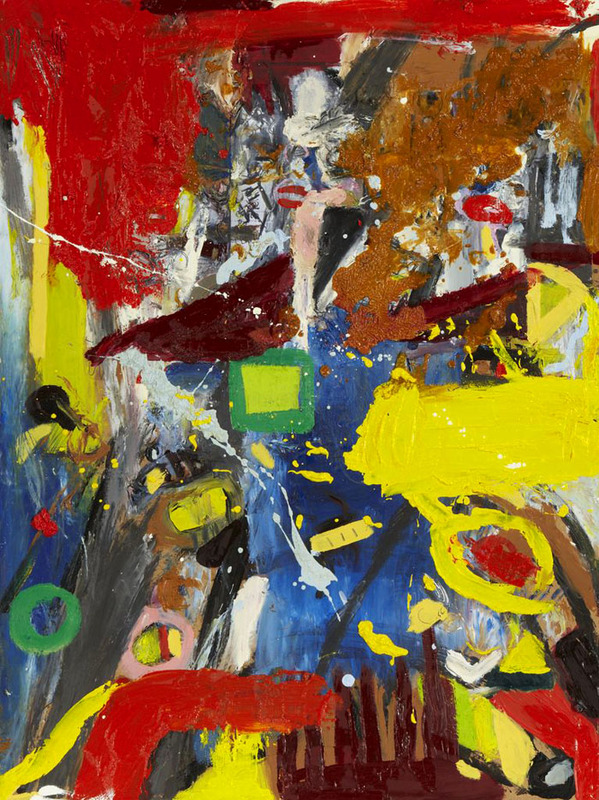 His painting's Jungian themes are explored in bold abstract compositions using contrasts of light and shadow and a vivid play of colour. 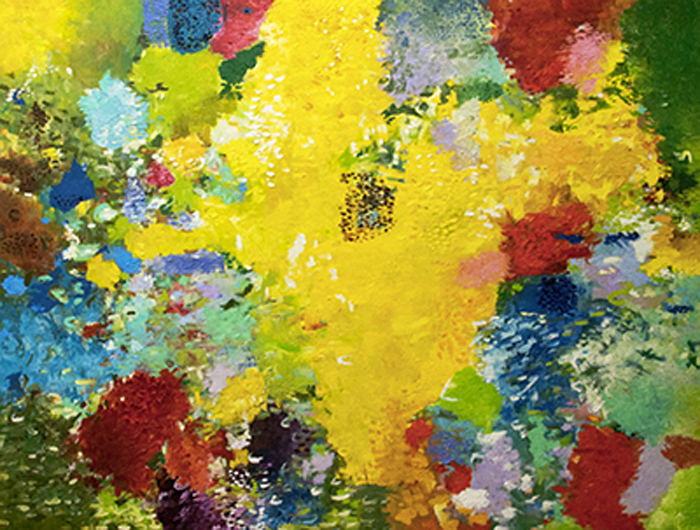 Whaley’s work began to bloom as his creative and personal life flourished. The artist had found love with television and film director Norman Buckley and they married in the state of California in 2008. Buckley also had had a transformative career change, moving from being an award-winning film and television editor to becoming a highly successful and sought after director of America’s most popular shows including Pretty Little Liars, Gossip Girl, The O.C, 90210, Melrose Place, The Carrie Diaries, The Client List and Switched at Birth. “Norman has always understood and supported my choices, Whaley says. "He is my best friend, biggest cheerleader, and confidante. We support and inspire one another in our artistic pursuits. I’ve heard Norman say to people that the art healed me; that I found a creative solution to my health crisis." American director Norman Buckley with actors Leighton Meester and Blake Lively on the set of Gossip Girl in New York. Buckley is Davyd Whaley's spouse: "We support and inspire each other in our artistic pursuits." Whaley attended the Art Students League while Buckley was directing in NY. While Buckley was on set directing Blake Lively and Leighton Meester, Whaley would go off to class. 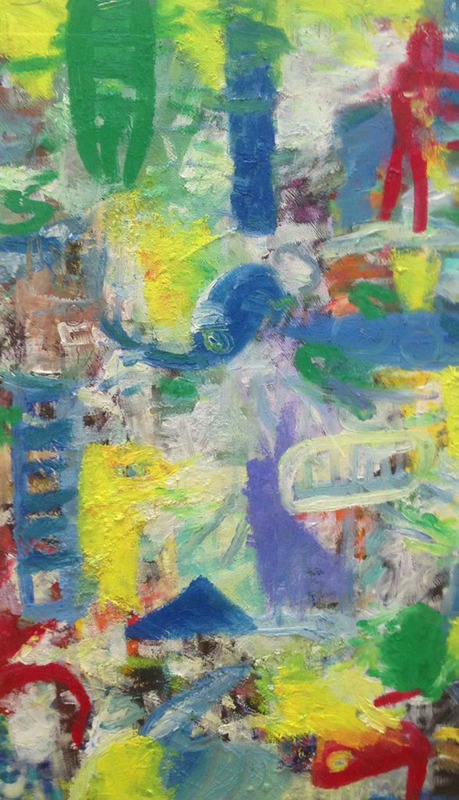 He studied under Larry Poons and found him a great inspiration. “My morning class would begin around 9am,'' Whaley explains. "There was only me and perhaps one other student who didn’t use easels; and definitely not many that used oil, since Larry painted in acrylics. Larry was definitely vocal if he didn’t like something and he always encouraged us to add more colour. He taught me any good painting must have light. His classes were very enjoyable for me. He would sit in a large chair in the back and play bluesy country music quite loudly.” Whaley built up more confidence at the ASL with instructors like Ronnie Landfield and with the encouragement of well-known painters. 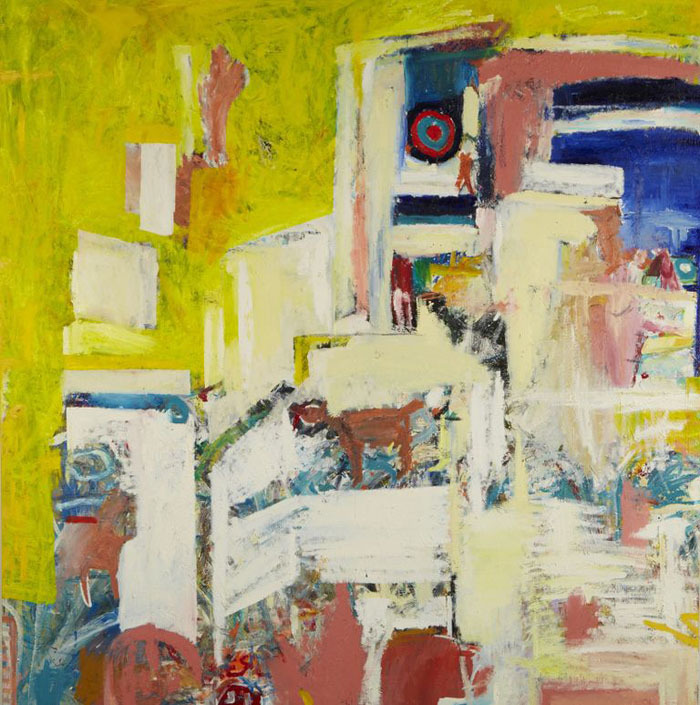 Whaley continued his studies at UCLA with Max Malansky and Nick Brown from the Chicago Art Institute, participated in group shows and began to teach art. In 2011, he began teaching classes to seniors and underprivileged children in Los Angeles. "I approached the county about creating classes in their community centres because I really saw a need. I was comfortable teaching art but also with drawing up benefit cost analyses." Last year, Whaley won the prestigious Los Angeles Volunteer of the Year 2012 Public Arts Education award. "It is one of my proudest accomplishments," the artist says. "And I just received my grant to continue teaching which I hope to be doing again this summer." Whaley says even during his engineering career he always drew and painted although his early work was more figurative and linear. 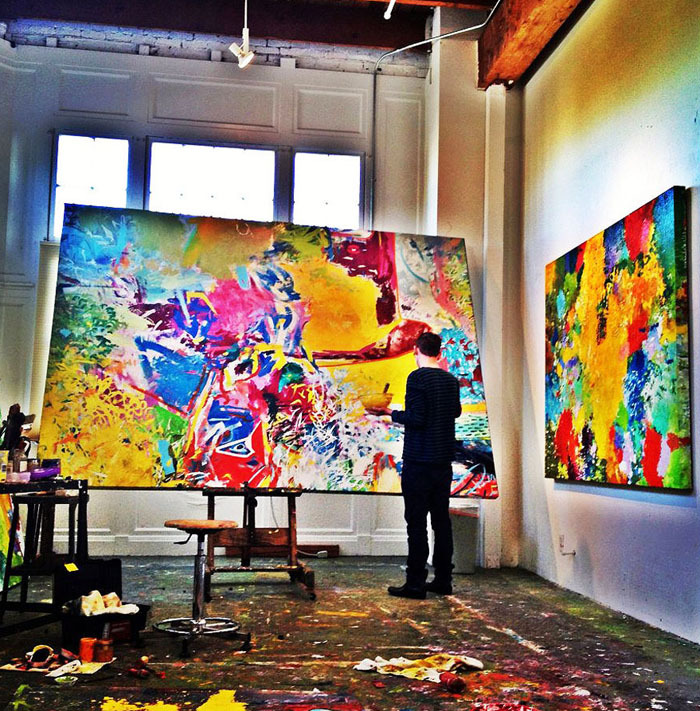 "I've never really stopped painting and my new career developed very organically. People started talking to me more and more about my work and I started selling paintings." 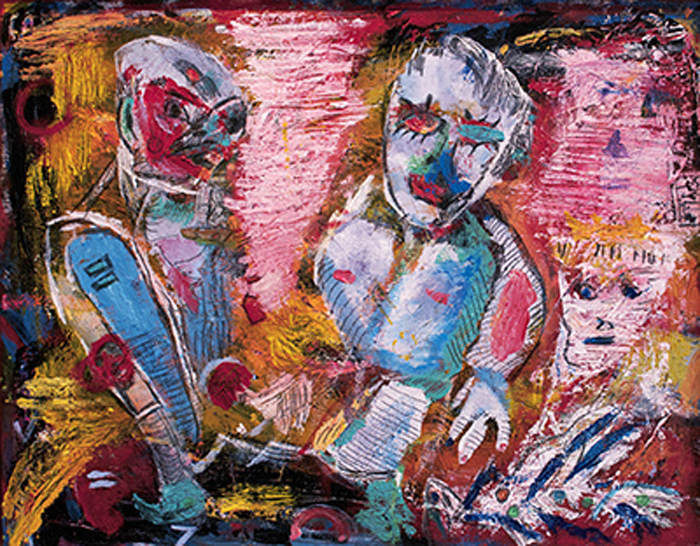 Whaley's work also began to be featured in art magazines and galleries and on television shows. 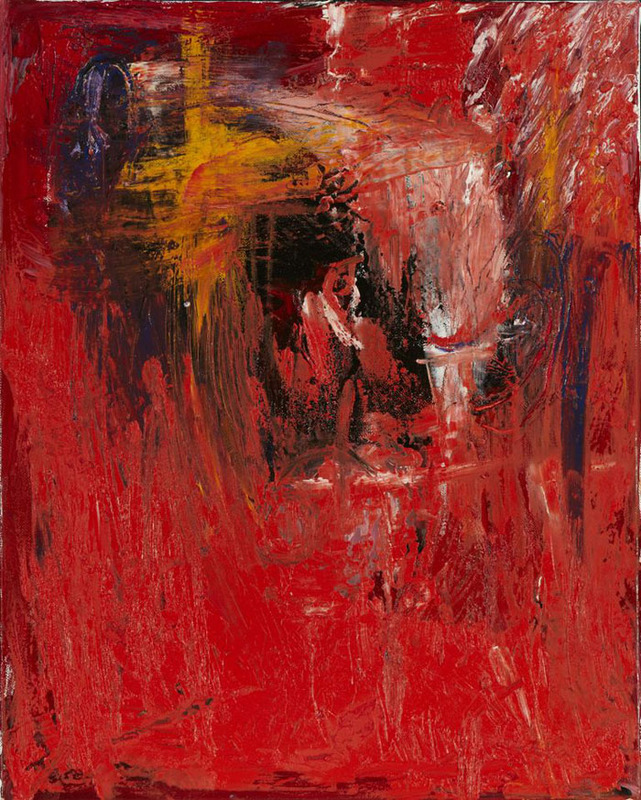 This year he will participate in the 9th edition of the Florence Biennale, showing his painting Heaven and Hell. 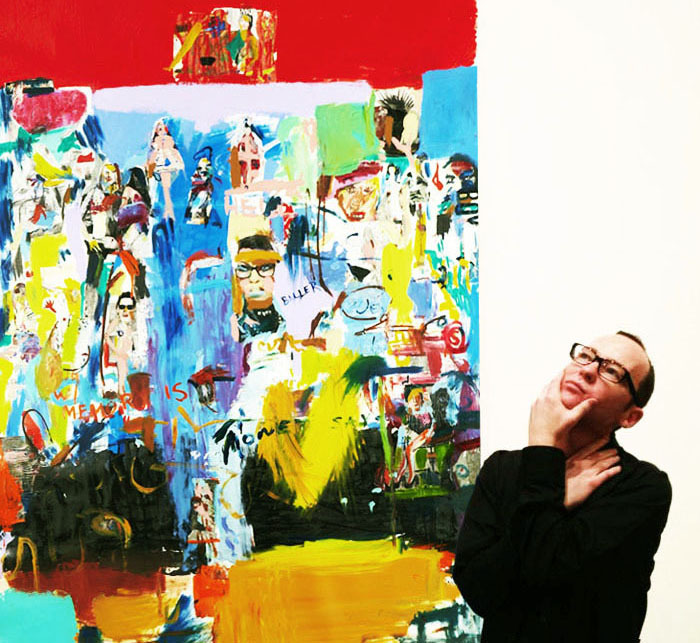 Whaley has a big studio in downtown Los Angeles where he paints every day. 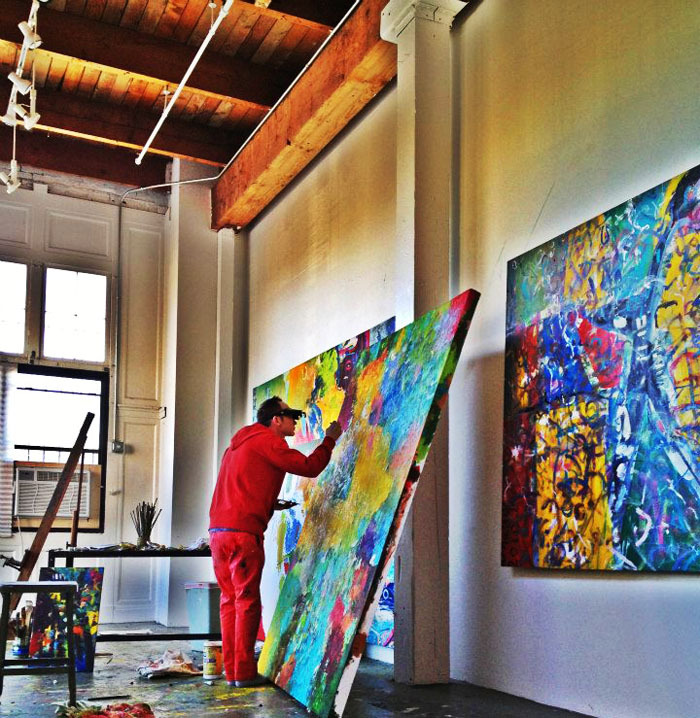 "My studio is a haven for me,'' explains Whaley. "It’s a 2000 square foot loft in the Santa Fe Artist Colony. The building used to be a mattress factory in the early 1900s and has 20 foot ceilings and large windows that get early morning and mid-day light. Located in an industrial neighbourhood, there are 57 artists who live and work at the colony. 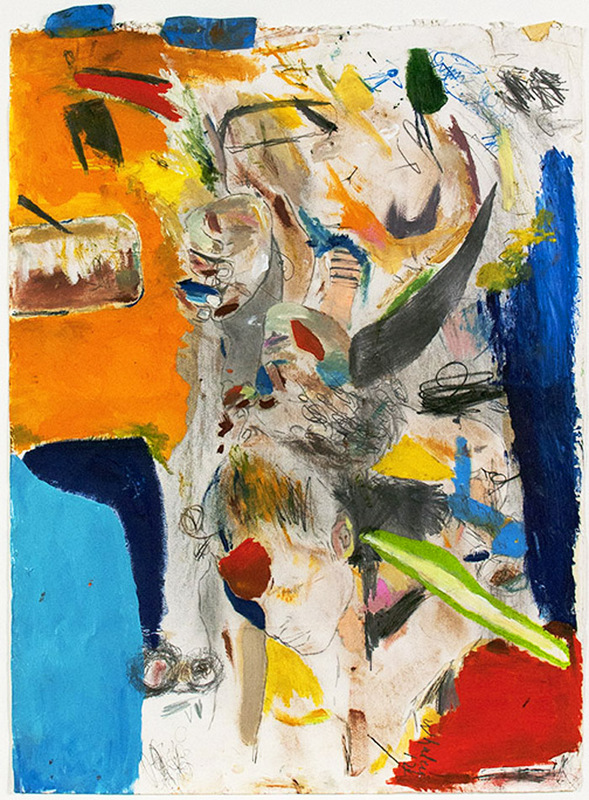 Davyd Whaley's paintings exhibited at Hollywood producer Harvey Weinstein's opening party for the Gallery for the People summer show in Los Angeles. 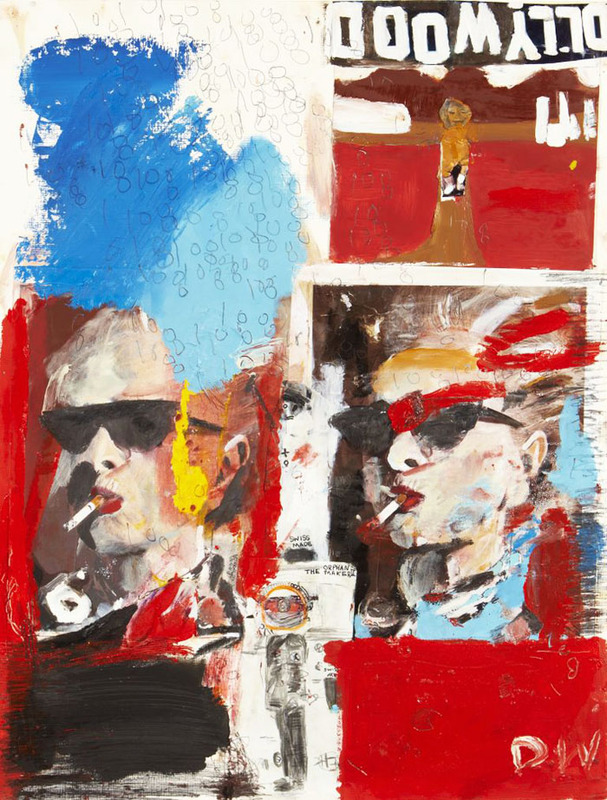 Galerie Michael saw the artist's work at the show and put on his new solo exhibition. 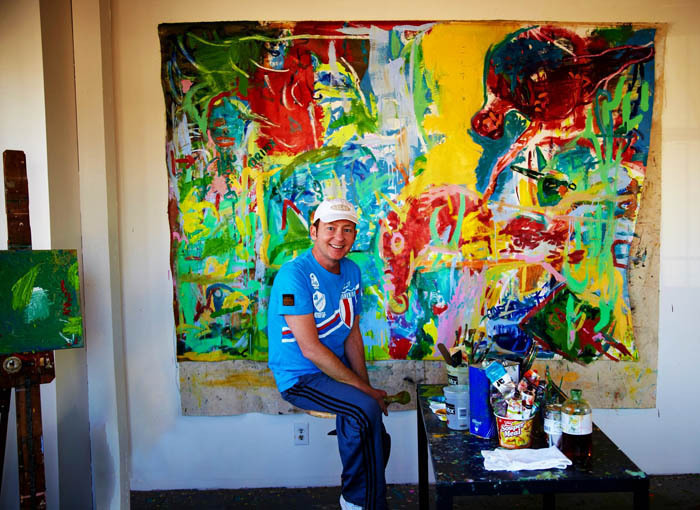 Hollywood played another part in Whaley’s growing artistic career when his work was seen by a top Beverly Hills art gallery at the exclusive Gallery for the People summer show hosted by Oscar-winning producer Harvey Weinstein and packed with actors and directors. “The gallery saw my work at the one-night group show last June hosted by Weinstein and benefiting The Art of Elysium, an organisation encouraging artists to dedicate their time to seriously ill children. 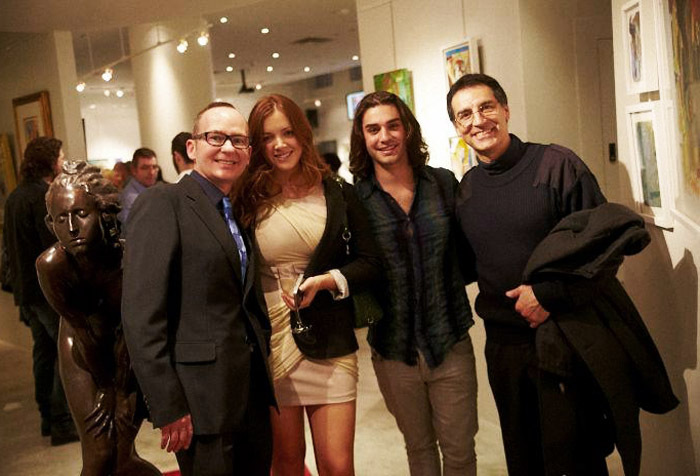 Shortly after that event, I met Michael Schwarz the owner of Galerie Michael at my studio." 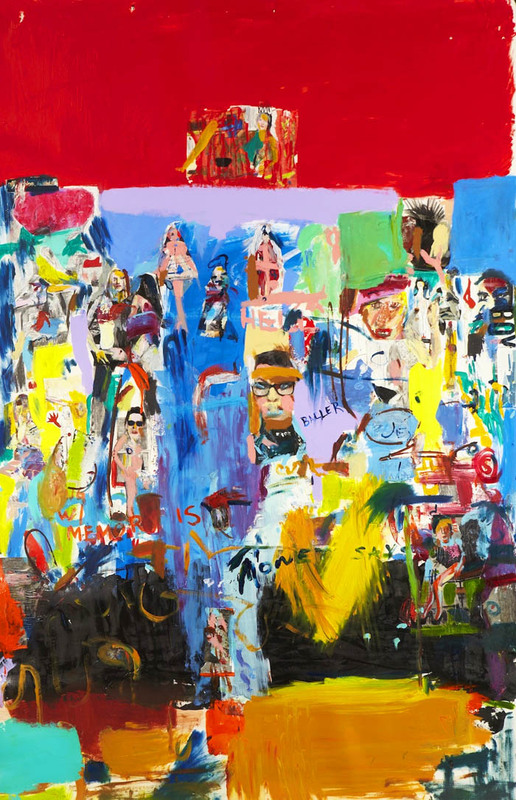 The meeting led to Whaley's big new exhibition at Galerie Michael in Beverly Hills and is the culmination of all of his trials towards becoming a full-time artist. “I was very nervous during the weeks preceding the opening and every ounce of energy was used preparing work for the show. The curatorial staff from the gallery came to my studio a month before the opening to select the pieces that are on display. The gallery chose works that reflect my interest in dreams and the subconscious." The opening night at Galerie Michael was both a happy Hollywood ending to the artist's early struggle and a new beginning for Whaley's career. Norman Buckley couldn't have directed a better episode to celebrate Whaley's work with a star-studded party full of close friends and colleagues. Artist Davyd Whaley with Jennie Hiatt and Alex Rich at the opening of his big new solo exhibition at Galerie Michael in Beverly Hills.